2 Bedroom Flat For Sale in Harrow for Asking Price £365,000. 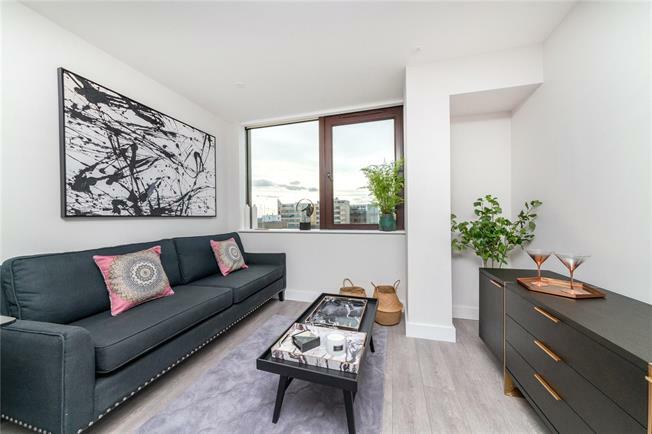 A 2-Bed/2-Bath Sixth Floor apartment forming part of this former office building now impressively converted by Harrow Holdings Limited into 92 apartments. The apartment benefits from a fully integrated Kitchen, Ensuite Bathroom to Bedroom 1, flooring throughout and amenities on your doorstep. Perfect for couples and young professionals, Queens House is conveniently situated for the Town Centre with its range of shops, eateries, cinema, gym and having excellent links to central London via Harrow on the Hill station. - Bathroom and Ensuite are fully tiled with porcelain walls and floor, high gloss vanity unit with basin, wall hung wc, chrome fixtures and fittings, fixed shower head, heated towel rail. Ocean bath with glass screen. - Engineered wood flooring to Living/Dining room and Hallway. Carpet to Bedrooms. Tiled Bathroom and Ensuite.